Stretch films are very diverse in terms of thickness, pre-stretch, different additives and resins, and also how the film is extruded. The two different techniques used to create stretch film are blown and stretch. Each of these techniques used to create the stretch film will yield different properties – and depending on your application – you’ll want to consider what the best fit is for you. We have laid out the quick and easy comparisons between blown film and cast film for you. The general consensus is 70 – 80% of films used today are cast stretch film. However, blown stretch film certainly plays its part in the other 20 – 30% where superior strength is required. 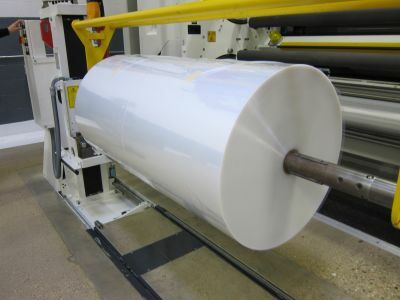 The purpose of stretch film is to make sure that your product arrives at its destination in the same condition as it left the production facility. That may sound simple, but depending on the film used, this is not always the case. Loads are subject to a lot of stresses and forces during shipment. Temperature changes, vibration over hundreds or thousands of miles, loading, unloading, and moving around depots at distribution centers. The film used to wrap your load is the key to ensuring your product arrives at its destination as is.